I made this lemonade on a whim this weekend while my husband and son were hard at work in the yard. My husband is crazy about homemade lemonade and declared this berry kind his new favorite. I have to agree! Homemade lemonade is always exciting. 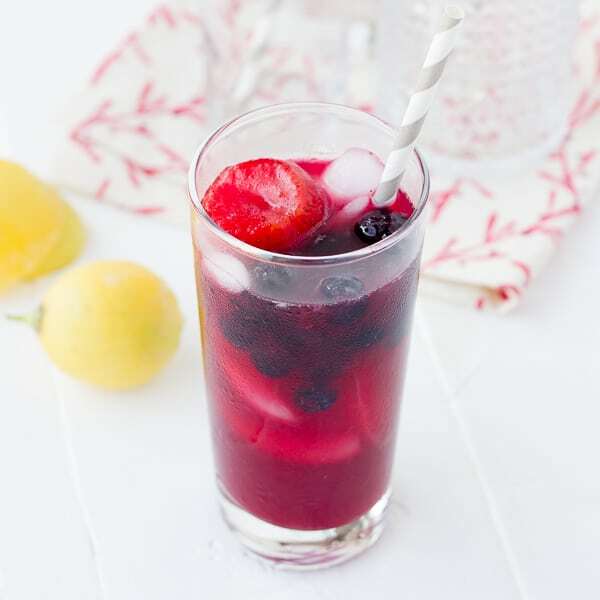 The bright colored, sweet berry syrup makes this lemonade extra special. It is also surprisingly simple to make. The hardest part is squeezing the lemons. Luckily that’s a job my 3-year-old is more than willing to take over. This lemonade is perfect for parties and summer holidays. 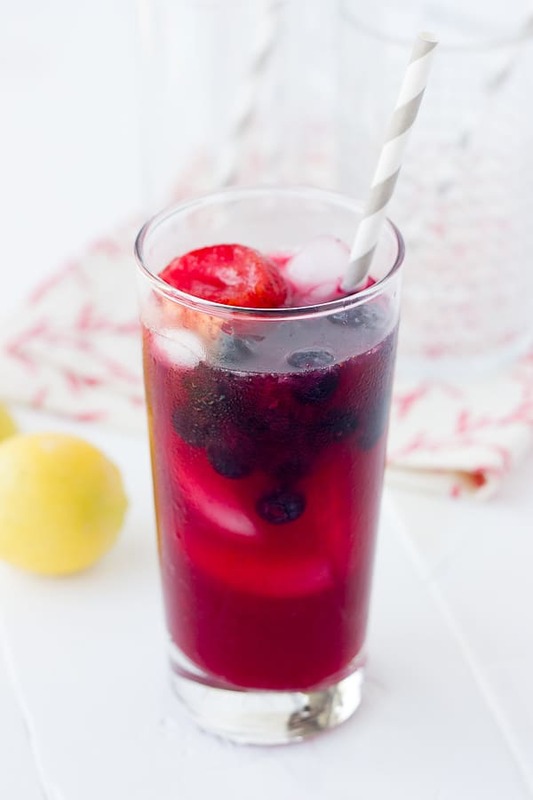 It looks beautiful and a little fancy with a few frozen berries in each glass! This recipe doubles or triples great for parties! In a saucepan over medium-high heat, combine the sugar, frozen berries, and 1/2 cup water. Bring the mixture to a gentle boil, the cook for about 10 minutes, until the berries soften and burst. 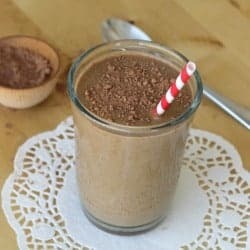 Pour the syrup mixture into a blender and carefully blend until smooth. Place 2 cups of ice in a pitcher or measuring cup. Place a fine mesh strainer over the ice and strain the berry mixture (to catch all the small seeds) over the ice to cool it down quickly. Combine the ice/syrup mixture, lemon juice, and 3 cups of cold water in a pitcher. Stir to combine and add more water if needed. Enjoy! What a wonderful summer drink! I’ll bet it would also make a great cocktail. This was so simple and I had all the ingredients on hand. I didn’t have lemons, so I used ReaLemon 100% concentrate which was good, but next time I’ll be prepared and use fresh lemons. I also used my Vitamix blender which eliminated the need to strain the berries. Thank you for such an easy and refreshing recipe. I’m thinking about making this tomorrow for a bridal shower! Do you think that this would taste okay of guests wanted to add champagne? Can this be made ahead of time? I don’t drink alcohol so I couldn’t say! Sorry about that. How many much does this recipe make? I’m prepping for a party, so I’ll be scaling up.